Tags: pro-life, news, abortion To share or post to your site, click on "Post Link". Please mention / link to the Greater Fitchburg For Life. Thanks! By Ken Blackwell - ARRA News Service: I have written recently of President Obama's "covert zeal" for the spread of abortion. I took that phrase from Abraham Lincoln's description of how President Franklin Pierce and Sen. Stephen A. Douglas sought--covertly--to spread slavery in the 1850s. In that column, I noted specific actions of this president to advance abortion-on-demand and to force us all to pay for it. Now, I want to focus on something Mr. Obama is not doing. He is not charging Nidal Hasan, the accused Fort Hood killer, with violation of the Unborn Victims of Violence Act (UVVA). This law was passed and signed in 2004. After the highly publicized conviction of Scott Peterson in California for the murder of his wife and her unborn child, the law was named the Laci and Conner Peterson Unborn Victims of Violence Act. There would seem to be no possibility of controversy in charging Hasan with violating UVVA. After all, it is indisputable that one of those killed was pregnant at the time of her death. Nor did the mother, Army Private Francheska Velez, contemplate an abortion. There would be no question of her exercising "choice" in this matter. In fact, her last words, most poignantly reported, were: "My baby! my baby!" It was for just such heinous crimes that the UVVA was passed. It covers only those instances where a crime of violence is committed on federal property, or where other crimes covered by the federal code are being committed. This is how Wikipedia describes UVVA. The Unborn Victims of Violence Act of 2004 (Public Law 108-212) is a United States law which recognizes a "child in utero" as a legal victim, if he or she is injured or killed during the commission of any of over 60 listed federal crimes of violence. The law defines "child in utero" as "a member of the species Homo sapiens, at any stage of development, who is carried in the womb". The law is codified in two sections of the United States Code: Title 18, Chapter 1 (Crimes), §1841 (18 USC 1841) and Title 10, Chapter 22 (Uniform Code of Military Justice) §919a (Article 119a). So, it is a law incorporated into the U.S. Code and most significantly in this case, it is applied to the military by including it in the UCMJ. Hasan was assigned to Fort Hood. So were all those who died. There could be no question of UVVA not applying in this case. Apart from his "covert zeal" for abortion, what could explain President Obama's failure to apply this law in this case? He obviously has a problem with the law "recogniz[ing] the child in utero." But the law can in no way conflict with the Supreme Court's abortion rulings. This young mother chose life--for herself and her unborn child. The law does no more than recognize what we all know to be true. Even Joe Klein, that veritable liberal, acknowledges in his TIME Magazine column that "that thing in the womb is a human being." But President Obama does not want to recognize that simple truth. The failure to charge Nidal Hasan with violation of the Unborn Victims of Violence Act is another instance of this president's failure to "take care that the laws be faithfully executed." Americans are becoming increasingly pro-life. 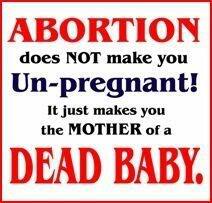 It is high time that the laws that protect unborn victims of violence be duly enforced. J. Ken Blackwell is a conservative family values and pro-life advocate. Blackwell is a former U.S. Ambassador to the United Nations Human Rights Commission and is a senior fellow at the Family Research Council and a visiting professor at Liberty University School of Law. He is a contributing author to the ARRA News Service. Tags: Ken Blackwell, 14th Victim, a baby, 13 dead, 30 wounded, murderer, Nidal Malik Hasan, Jihad, military, Fort Hood, President Obama, Covert Zeal, the law, To share or post to your site, click on "Post Link". Please mention / link to the Greater Fitchburg For Life. Thanks! 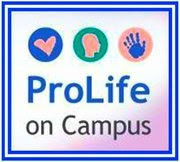 Tags: pro-life, news, abortion, news, culture of life To share or post to your site, click on "Post Link". Please mention / link to the Greater Fitchburg For Life. Thanks! Tags: abortion, after abortion, effects of abortion, baby, infant, fetus, mother, regret, guilt, remorse, forgiveness, Silent No More To share or post to your site, click on "Post Link". Please mention / link to the Greater Fitchburg For Life. Thanks! Tags: Debt, economy, jobs, Washington, bureaucrats, politics, fiscal policy, out of control spending, spending, election, congress, small business, business, Government Agencies, regulations, White House, United States Congress, killing job creators, digging a hole, Time To Stop Digging, Washington Could Learn A Lot As published by the ARRA News Service. To share or post to your site, click on "Post Link". Please mention / link to the Greater Fitchburg For Life. Thanks! 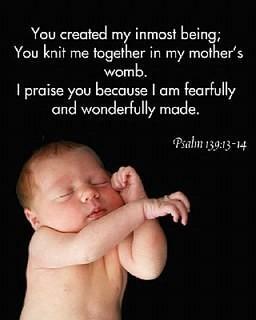 Tags: abortion, baby, infant, life, pro-life, Frank Pavone, Trucks To share or post to your site, click on "Post Link". Please mention / link to the Greater Fitchburg For Life. Thanks! Tags: pro-life, news, abortion, culture of life To share or post to your site, click on "Post Link". Please mention / link to the Greater Fitchburg For Life. Thanks! By Ken Blackwell, Contributing Author: Abraham Lincoln faced a similar problem in 1854 when he spoke of the “covert zeal” of President Franklin Pierce and Sen. Steven A. Douglas for the spread of slavery. These leading Democrats never said they were in favor of slavery. They simply viewed the right of whites to choose slavery for blacks as a “sacred principle of self government.”Lincoln abhorred this subterfuge. President Obama doesn't talk about abortion much. He famously tried to avoid the question in 2008 when Pastor Rick Warren asked him what rights, if any, unborn children have. "The answer to that question is above my pay grade," he said then. With his strong election victory,Barack Obama was promoted to the office where the buck stops, where such questions demand an answer. His answer has been clear: None. The unborn have no rights at any time, in any context. President Obama has been the most pro-abortion president in history. That was a distinction not easily won, especially after eight years of Bill and Hillary Clinton. They famously said abortion should be "safe,legal and rare." That seemed to be a middle path. But the only place they made abortion rare was in Antarctica. President Clinton sent out the Red Cable to all U.S. Embassies ordering them to press their host countries to make abortion on demand legal and paid for by the state. Yet, Hillary told Newsweek abortion is "wrong. "(October 31, 1994 issue). She only said it once in her entire career. Still,she said it. Barack Obama has never said that. From his first public office, he has been an advocate for abortion on demand. He led the fight in the Illinois State Senate to deny protection for newborn children who survive abortion attempts. These children are U.S. citizens under the Fourteenth Amendment. And just as too many states denied "equal protection of the laws" to black Americans under a century of unjust Jim Crow laws, Barack Obama denied protection of Illinois laws to newborns in the Land of Lincoln because they had been targeted for abortion. It is tragically ironic that a disproportionate number of these late term botched abortions are performed on minority women. As president, Bill Clinton twice vetoed the ban on Partial-Birth Abortions. Elena Kagan strongly urged him to veto the law. President Obama elevated Kagan to the U.S. Supreme Court. This outspoken advocate of Partial-Birth Abortion, not surprisingly, voted to approve Obamacare--the greatest expansion of abortion since Roe v. Wade. We can have little doubt as to how Kagan will rule if the lawsuits filed by dozens of Catholic dioceses make it to the Supreme Court. She is unlikely to surprise and shock any liberal abortion advocates as Chief Justice John Roberts shocked and appalled millions of pro-lifers with his last minute shift of position. For pro-lifers, the shocks and the surprises only come one way with the Supreme Court. Liberal pro-abortion advocates never find one of their own jumping the traces. They vote in lockstep to uphold the Culture of Death. "I stood at the doctor's side and watched him perform a partial-birth abortion on a woman who was six months pregnant. The baby's heartbeat was clearly visible on the ultrasound screen. The doctor delivered the baby's body and arms, everything but his little head. The baby's body was moving. His little fingers were clasping together. He was kicking his feet. The doctor took a pair of scissors and inserted them into the back of the baby's head, and the baby's arms jerked out in a flinch, a startle reaction, like a baby does when he thinks that he might fall. Then the doctor opened the scissors and he stuck the high-powered suction tube into the hole and sucked the baby's brains out. Now the baby was completely limp. I never went back to the clinic. But I am still haunted by the face of that little boy. It was the most perfect, angelic face I have ever seen." Just reading about such a horror led pro-choice liberal columnist Richard Cohen to oppose it. ...the fact remains that the anti-abortion people are on to something. Late-term abortions may be necessary, but you cannot read about them without feeling diminished as a human being. Something awful has happened, and simply as a matter of principle we ought to be opposed. We ought to say, in short, that this procedure cannot be used -- that late-term abortions cannot be permitted at all--unless we absolutely have no choice. ["Reason to Shudder," Washington Post, July 4, 2000]. Cohen said then that people who don't shudder at this nightmare make him shudder. President Obama does not shudder. Nor does Justice Elena Kagan. They have a cool and detached view. To them, the fetus has no rights, ever. And "the right to choose" can mean the right to a dead child. From his first day in office until now, President Obama has quietly but vigorously pushed the abortion agenda. He records promotional videos for Planned Parenthood. This group kills 340,000 of the more than1,200,000 unborn children killed each year by abortion. Under Obamacare, they will be able to kill millions more. Tags: Ken Blackwell, President Obama, Covert Zeal, abortion; To share or post to your site, click on "Post Link". Please mention / link to the Greater Fitchburg For Life. Thanks! Father of Pro-Life Student Killed by Car Gives Moving Tribute When euthanasia became a dirty word the Voluntary Euthanasia Society changed its name to ‘Dignity in Dying’ in January 2006. In 2008 Conservative MP for Reigate Crispin Blunt (pictured) claimed responsibility for the move. President Obama’s “Covert Zeal” Supporting Unlimited Abortion Abraham Lincoln faced a similar problem in 1854 when he spoke of the “covert zeal” of President Franklin Pierce and Sen. Stephen A. Douglas for the spread of slavery. These leading Democrats never said they were in favor of slavery. They simply viewed the right of whites to choose slavery for blacks as a “sacred principle of self-government.” Lincoln abhorred this subterfuge. Tags: pro-life , news To share or post to your site, click on "Post Link". Please mention / link to the Greater Fitchburg For Life. Thanks!